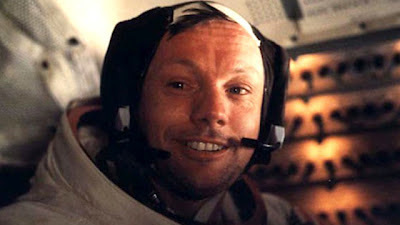 "With computer alarms sounding and fuel running low, Apollo 11 astronauts Neil Armstrong and Buzz Aldrin landed their lunar module Eagle in the Sea of Tranquility as millions around the world watched. 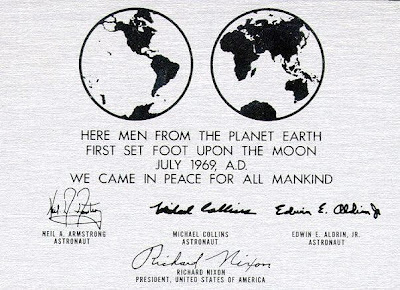 Six hours later, Armstrong made his "giant leap for mankind", stepping onto the surface of the moon. 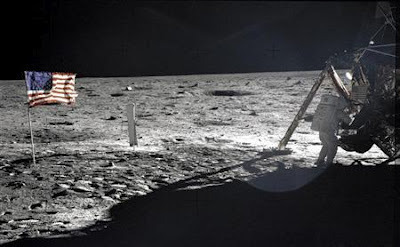 He was soon joined by Buzz Aldrin, who described the scene as "magnificent desolation". They explored the surface for two and a half hours, collection samples and taking photographs. After their historic moonwalk, they successfully docked with the command module Columbia, reuniting with crewmate Michael Collins."